Kids aren't born with common knowledge. Help your preschooler learn life's basics with this fun worksheet. Can she label each step in the sequence as first, next or last? Help your child develop her early problem solving skills with this pattern practise sheet, where she'll decide which item comes next in each sequence! 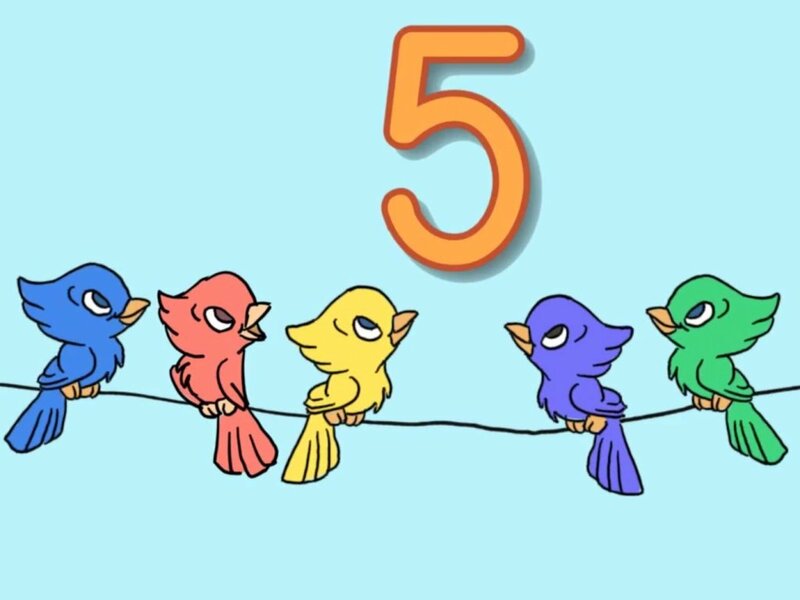 This reception maths and coloring worksheet focuses on the number 5. 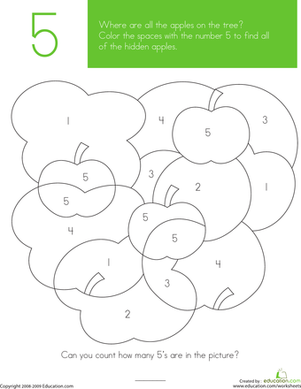 Kids colour all of the spaces with the number 5 to reveal hidden apples. 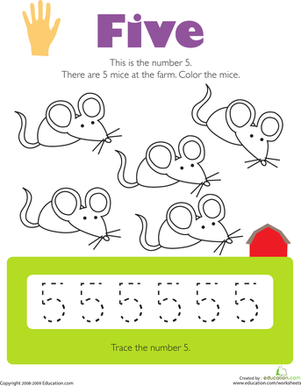 Kids colour five mice and trace the number 5 several times to practise counting, identifying, and writing numbers on this prekindergarten maths worksheet.